Ysgol Crug Glas is a special school based on the High Street in Swansea. They are campaigning for a zebra crossing outside the school as part of the 2017 Troublemakers' Festival run by Volcano. 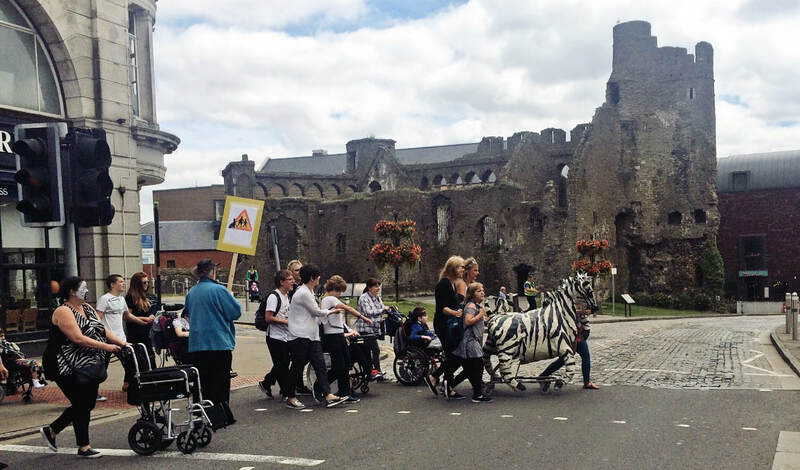 To help draw attention to their cause, we built a life-sized zebra prop that could be used to head up the parade. He was built around a trolley base using chicken wire and papier mache, making him easily maneuverable, lightweight, and surprisingly hard-wearing!